C.C. 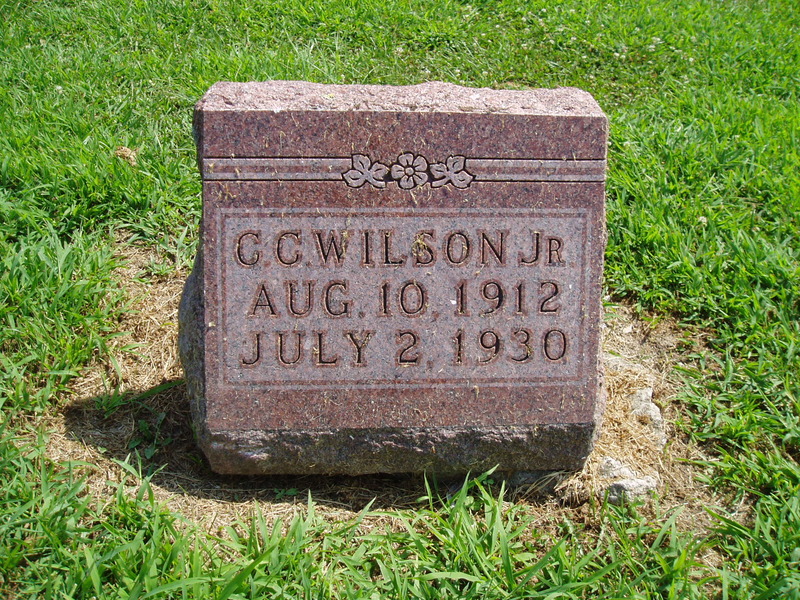 (Clarence Cornelius) Wilson, Jr. was my 1 cousin 2X removed. Great Western 5 a.m. Passenger Saw Him Sitting on Track Below Sanatorium. …The family, the coroner and all are at a loss to know why he was sitting on the track after daylight, as the train reaches Savannah at 4:49. The 6 o’clock interurban would have taken him home in another hour and there was no freight for him to catch to go to his home at Industrial City. Besides he had never been known to do this. He has been working with his father at stone and concrete work, especially foundation work. His father had told him they were not going to work Wednesday and there was no reason for him to hurry home. Heretofore when he missed the car he had been going to the home of his associate workman, young Wampler, and remaining until morning.